Motivational Quotes on Antoine de saint-exupéry:- Antoine de Saint-Exupery was a French aviator and writer who is best remembered for his novella ‘The Little Prince‘. 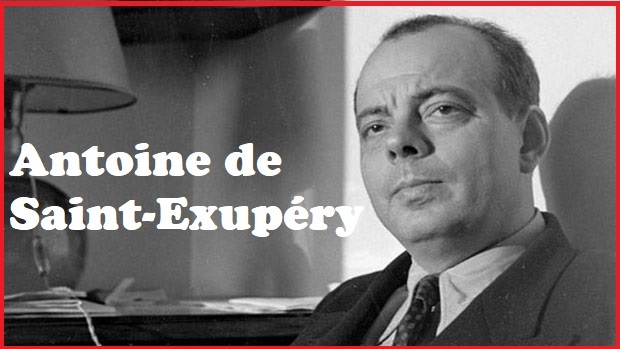 Antoine de Saint-Exupéry was born in Lyon, France, on 29 June 1900. Saint-Exupéry was a successful commercial pilot before World War II, working airmail routes in Europe, Africa, and South America. At the outbreak of war, he joined the French Air Force (Armée de l’Air), flying reconnaissance missions until France’s armistice with Germany in 1940. After being demobilized from the French Air Force, he traveled to the United States to help persuade its government to enter the war against Nazi Germany. He disappeared over the Mediterranean on a reconnaissance mission in July 1944 and is believed to have died at that time.